In most instances, issues of employee misconduct can be dealt with informally. A quiet word and a reminder of your standards may well be enough. However, if you have an employee presenting repeated or serious misconduct issues, you should follow the disciplinary procedure set out in your employment policies. The basis of a formal disciplinary policy is the ACAS Code of Practice, which sets out the expectations for a fair process. informing them of their right to appeal your decision. If you find yourself defending an employment tribunal claim, failure to follow the ACAS code will count against you. Ideally, your staff handbook will contain a disciplinary policy outlining the procedure you will take should any of your employees fail to meet the expected conduct standards. A disciplinary policy is important to establish a clear procedure that you will use in the event of serious or repeated misconduct. In turn, this can demonstrate that you’re dealing with employees fairly and consistently. Your policy should also contain examples of unacceptable behaviour, particularly those that would be considered gross misconduct. If you have any procedures which, if not followed, would amount to gross misconduct, it is essential that you make employees aware that this is a potential consequence. As well as establishing your procedure, a policy will demonstrate that you are treating staff fairly and consistently. Our HR experts can help create employment policies tailored to your business' specific needs. 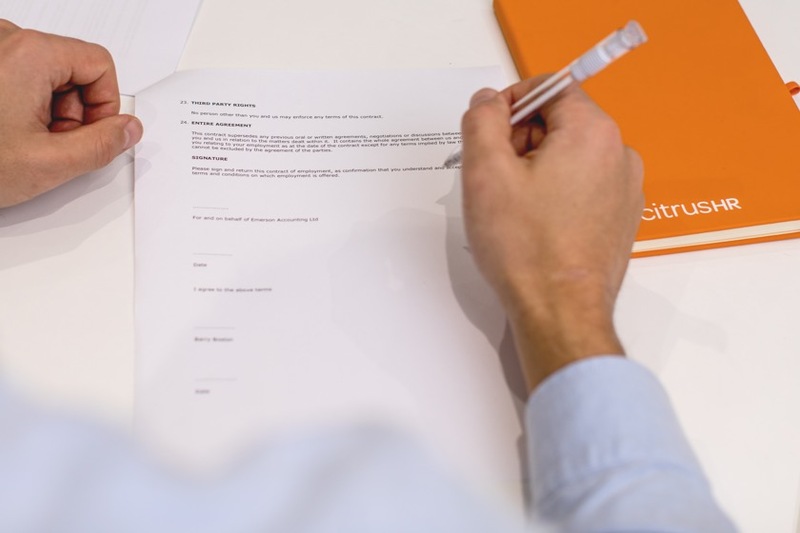 Disciplinary action can feel quite formal and time-consuming, but it’s important to follow the procedure correctly to protect yourself from legal claims. If you have an employee who may have a potential discrimination claim, or who may be able to bring an unfair dismissal claim, this is even more crucial. A clear procedure can also help keep matters calm and professional in situations where emotions are potentially running high. Establish the facts as soon as you can. Get the employee’s side of the story before you decide on next steps. If you determine that the issue is more closely linked to performance or ability rather than behavior, following a capability procedure may be more appropriate. In the case of a minor or first offence, it may be most appropriate to issue an informal warning, avoiding the need to enter into a formal disciplinary process. This could be as simple as having a conversation with the employee and following it up with a letter reflecting what was said. If the offence is more substantial, or it is not the employee’s first, you may need to resort to formal procedure. Begin by gathering all the information you need to establish the facts about the situation: speak to witnesses, look at any information that may serve as evidence and hold an investigation meeting with the employee concerned. Unless you have written this into your disciplinary procedure, the employee doesn’t have the right to bring a representative to the investigation meeting, and you don’t have to write to them to invite them to an investigation meeting, as would be the case for a disciplinary meeting. Make sure you record all your notes and evidence at this point. If you’re investigating an instance of possible gross misconduct, it may be appropriate to suspend the employee while the investigation is in progress. If you believe there is no case to answer following the investigation, the matter stops here. Otherwise, proceed to a formal disciplinary meeting. Invite the employee to a formal disciplinary meeting in writing. Provide them with notice of the meeting, be sure to advise them of their right to be accompanied and provide copies of all the evidence you hold against them for their review. Make sure the invite explains the conduct that the disciplinary matter will discuss. Remember that your employee has a right to view and respond to all evidence before a decision on disciplinary action is made and providing them with key evidence on the day of the disciplinary meeting is unlikely to be fair. If the meeting may result in their dismissal, because the matter is so serious (i.e. gross misconduct) or they are already on a final written warning, you should explain in the invitation letter that this could be a potential outcome of the meeting. Check that the employee is aware of their right to be accompanied if they have not brought anyone with them. Run through the allegations you hold against them and invite them to respond. Review the evidence you hold and offer the employee an opportunity to add any further comments. Make sure notes are taken throughout the meeting – ideally you’ll have a note-taker present. This not only provides a witness to discussions but also means you can concentrate on running the meeting. If you feel more investigation is needed before you make your decision, advise the employee that a further meeting is necessary. Ensure you send them any new evidence you uncover before the meeting takes place. After the meeting, consider all the evidence you now have and whether it’s sufficient to prove the allegation of misconduct. In the case where you find the employee innocent, or feel that the behaviour doesn’t warrant taking further action, you would explain this to the employee and end the procedure. If misconduct is proven, the next step is to decide on the appropriate level of warning. Consider whether the employee has any previous warnings on file, any mitigating circumstances and their length of service. Also reflect on whether similar situations have occurred in your organisation previously and how they have been dealt with to ensure fairness and consistency. Your disciplinary policy should detail the levels of warnings in your procedure. You should have at least two levels before you reach the dismissal stage, with the exception of gross misconduct where you can progress directly to the dismissal stage. Normally, lower level warnings are issued where the misconduct is more minor. This is usually appropriate for relatively minor issues, or the first issue you have with an employee. Accompany this with your expectations for their behaviour going forwards, and the further action you may take should they fail to meet these expectations. A final written warning may be applied if there is already a live warning in place, or in cases of serious misconduct just below the level of gross misconduct, such as breaching a very important procedure – a ‘first and final warning’. This penalty can be issued for further misconduct when there is already an active final written warning on record. In this case, the employee would be entitled to their contractual notice. Alternatively, dismissal can be considered for instances of gross misconduct. This will often result in summary dismissal – immediate dismissal without the entitlement to notice or notice pay. Once you have made your decision, confirm it in writing to the employee. Their right to appeal and the timescales they have to do this. For the disciplinary to be considered fair, the employee must be given an opportunity to challenge your decision. Ideally you will have someone else who can hear this appeal, although this may not always possible in a small business. If this is the case and you must hear the appeal yourself, be sure to be as objective as possible. The appeal meeting should follow the same process as the original disciplinary meeting. Keep things confidential – only share information that’s necessary for an investigation to take place and remind witnesses to keep the matter confidential. Act promptly – the sooner the situation is resolved the better for all parties involved. Overhanging anxiety and uncertainty could lead to poor performance or absence amongst employees involved. Keep records – it’s vital to document all your conversations and anything you have used as evidence in order to be able to defend your decision should it be challenged. Be transparent – clearly communicate potential consequences. Act calmly and objectively – be careful not to make snap decisions driven by emotions. Avoid arguments – disagreements should be acknowledged and noted without escalating into an argument. 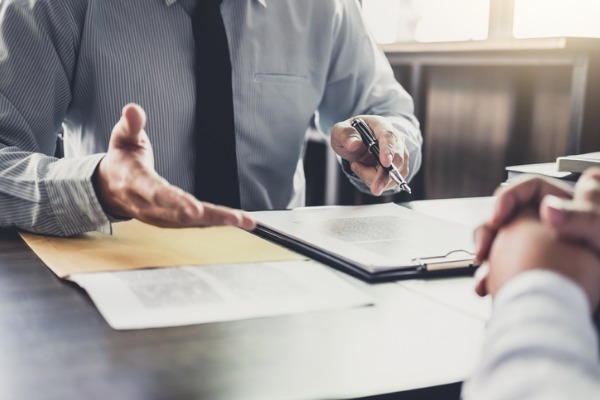 While this post offers a general overview on how to follow a fair disciplinary procedure, if you’re facing difficulties with an employee, it’s always advisable to speak to an HR professional, who can tailor advice to your specific situation.